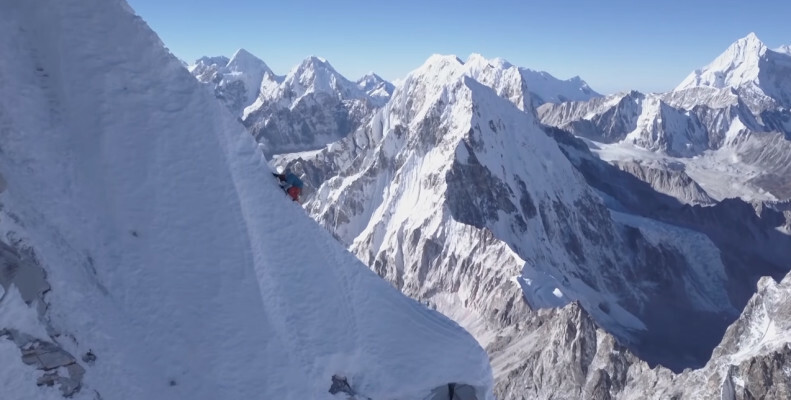 The Austrian mountaineer David Lama successfully went on a solo push for the first ascent of Lunag Ri, a previously unclimbed peak of 6.907meters on the borderline between Nepal and Tibet. An impressive achievement that he documented with a digital camera. It wasn't the first time David tried to reach the summit of Lunag Ri. Together with his friend Conrad Anker he made three previous attempts. Their last effort in 2016, however, resulted in a life-threatening situation for Conrad when he suddenly got a heart attack during their journey. The mountaineer survived but didn't want to go back anymore. This meant David had to go on his own this time. Last October he set out with a digital camera on his body and a drone that followed him from the sky. The result? Incredible footage of the majestic, snow-covered mountains. God's creation surely is spectacular!